Have you ever found yourself in a situation where you need to scan a document and there isn't a scanner in sight? 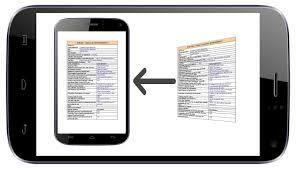 Well, if you have a smartphone, it is possible to take a scan a document with a mobile phone in a few short minutes. The fastest and easiest way would be to simply take a close-up photo of the image. The best way to do it is to download a scanning application from Google Play or App Store. Purpose built scanning applications do a much better job. For example, you can scan several pages of a document as a batch and even save the document as a PDF. Most applications are free though some request a fee to unlock premium features. To get started, open Google Play or App Store if using an iPhone and type "Document scanner" in the search bar. You will get a range of scanning applications to try out.